When Maud’s pet rat, Quentin, escapes in the middle of science class, it’s the very last straw. While Primrose Towers is full of decorous young ladies, Maud is ungraceful and prefers her pet rat to all other company She never quite fit in with the rest of the students and has been a nuisance one too many times. Maud is transferred from prim and proper Primrose Towers to dark and mysterious Rotwood Middle Schoolmuch to the delight of her teacher, classmates, and her perfect twin, Millybut what is in store for Maud at Rotwood? There is something strange about the students and teachers. Everyone is dressed as if it’s Halloween and the school motto is Because We Scare.” Maud learns two very important things on her first day at Rotwood: first, all of the students and teachers are monsters and second, she’s finally found a place where she feels like she belongs. While Primrose Academy rejected Maud’s differences, Rotwood allows her to embrace them. Even though she’s not a monster, Maud must make everyone believe she is in order to stay at Rotwood with her new friends. 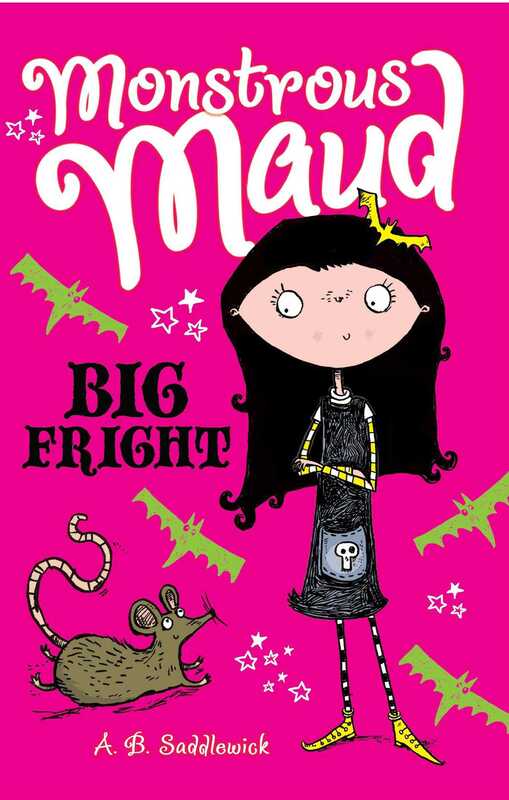 Monstrous Maud: Big Fright is a great alternative to princess books for middle grade readers. It is full of silliness and monster funalong with likeable characters and a great twist at the end.